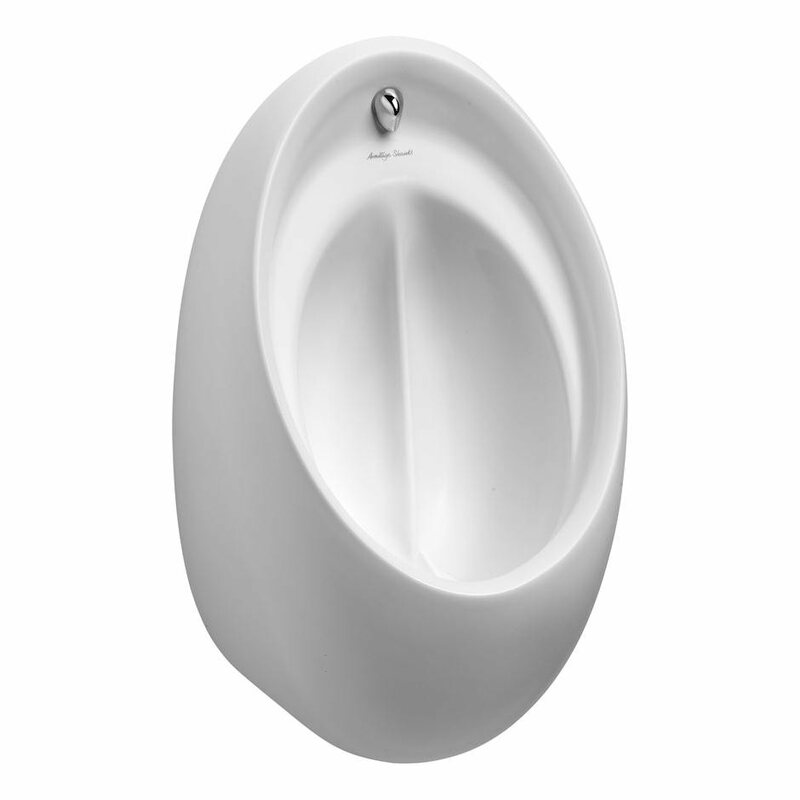 The Contour HygenIQ from Armitage Shanks is a wall mounted urinal in vitreous china. Unique fin design reduces splashing by 90%, reducing contamination on users clothes and surrounding washroom surfaces. Pack Type: For concealed installation, with the cistern mounted behind panels or a stud wall. Includes everything required from the cistern down to the waste trap. In the vast majority of cases, ceramic products are delivered within 5 working days, often faster. Gentworks is partnered with several major distributors that have national coverage. We will source the products from a depot as close as possible to the specified delivery address. The standard delivery charge for UK mainland is £10 per consignment. If you wish to check the delivery time to your area, please call 0345 202 4535 or email support@gentworks.co.uk . The delivery times stated for this product are representative of what we achieve in 95% of cases for this specific product. If we have reason to believe that one or more of the items in your order will not be delivered within the stated time, we will contact you as soon as possible with a new delivery date, giving the option to cancel the order. Please note that we are unable to specify the time of day your order will be delivered and all goods must be signed for. At time of delivery, please check goods for damage in transit before signing for them in order to avoid disputes over when and where any damage was caused. All goods are checked thoroughly before despatch. Water regulations require that urinals are fitted with a mechanical or electronic device to restrict flushing. Standard urinal cisterns flush as soon as they are full. The Marnic Water Watch controls the flow of water into the cistern, using a Passive Infra Red sensor to detect when someone has approached a bank of urinals. It then starts an electronic timer to initiate a flush after the number of minutes you have chosen, typically 20 minutes. If nobody approaches the urinals, for example at night or over the weekend, a 'hygiene flush' will be initiated, generally after 12 hours of inactivity. This feature is important to prevent odours on a Monday morning, for example. Click here for a wider choice of flush controllers suitable for urinals, including mains powered models. 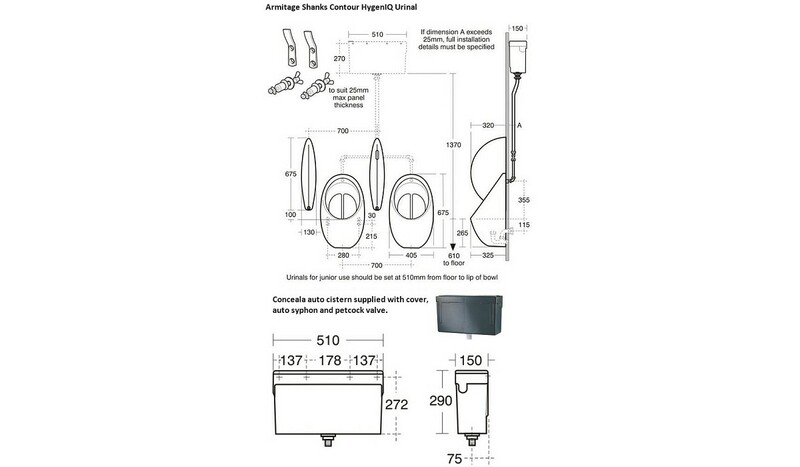 The Armitage Shanks S6120 division is designed as a match for the Contour urinal bowls.